Get the real music in your life with that perfect sound quality. For that thundering sensation in your heart and that crispy jazz, bring home creative SBS A35 desktop speaker brought to you by Amazon.in at an unbelievable price of Rs 523/- only. The speakers are of premium quality and will rev up your party mood with their superior bass system. So, without much ado, bring home desktop speakers to make each party memorable one. 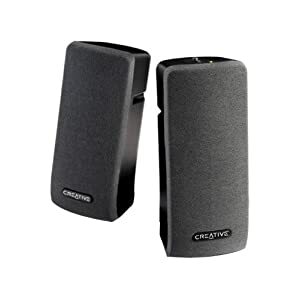 Compact size and light weight of these are a plus and hence make these speakers a must have in your house. Check out details here and order now. How to get this Speaker at discounted price of Rs 523? So partying anywhere was never this much fun before. And also for all the music maniacs, the speaker are just the nourishment for their love for music.